The former chief executive of a Teesside hospice has been sent to prison for four years after defrauding the charity of approximately £85,000. 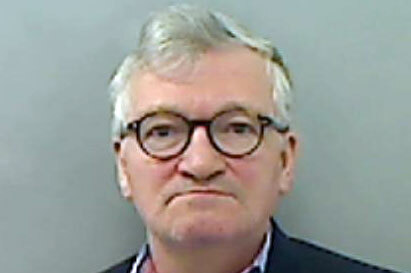 Graham Leggatt-Chidgey was sentenced at Teesside Crown Court yesterday after pleading guilty to charges of fraud relating to his time as chief executive of Butterwick Hospice Care. Leggatt-Chidgey, 62, was in charge of the hospice for about two decades until April last year. The charity, which is based in Stockton-on-Tees, Durham, employs 160 staff and had an income of £5m in the financial year ending 31 March 2017. The court heard that Leggatt-Chidgey spent £30,000 on hotels and £20,000 on travel, as well as £18,000 on designer clothes and jewellery. Leggatt-Chidgey also spent £3,000 on pens and £4,000 on technology, including a number of laptops. In a statement posted on the charity’s website, chair Judith Hunter said the hospice was pleased that "justice has been served", and that the charity would "stand tall and move forward". She said: "We appointed a new chief executive last year, and have reviewed our governance structures and processes. "Following last month’s court case we have been moved by the overwhelming support of our local community who are ‘backing the Butterwick’ and returning to support this much-loved local charity." Detective Constable Chris Pringle, of Cleveland Police’s fraud investigation team, said: "This was an extremely complex inquiry where a long-serving senior employee in a position of trust had systematically defrauded his employer, a well-established and respected local charity. "Over a lengthy period of time Mr Leggatt-Chidgey helped himself to money – often provided by supporters’ fundraising activities – and I believe the hard working staff and volunteers who have given money, goods or their time to the hospice, will share my utter disgust at what he has done. "I welcome the sentence handed to Mr Leggatt-Chidgey today and I hope, with the continued support of the community, the Butterwick Hospice can draw a line under this difficult period and continue to go from strength to strength."